Rehab is a doorway to freedom. Providing medical or psychotherapeutic treatment for individuals who’ve fallen under the weight of substance abuse, rehab is a healing place that offers solutions to return to health and happiness. When individuals struggle with alcohol and drugs, prescription or street, they need to seek out a source of healing. Rehab is such a source. Providing a stable, controlled environment for individuals whose lives have fallen out of control, rehab is a place to restore yourself. Mentally, physically, and emotionally, rehab provides therapeutic treatment to help you more easily return to your optimal life quality, regain your independence, and function as a thriving adult. Chemical dependency is a life-threatening disease. It can rob you of your livelihood, your health, your friendships and relationships; it can rob you of your pride and ability to live independently. It’s can be horrible burden to all around you. You find yourself stumbling and falling repeatedly, unable to move forward or right your steps. You find yourself alone in the dark. Thankfully, His House | New Creation gives you a light of hope. Through our program, you will find yourself sustained and supported, healing and learning as you progress through the process of gaining greater independence and becoming drug free. Rehab is a much needed journey for those who struggle with alcohol or drugs. It’s like a home: welcoming, inviting, invigorating, healing, and ready to succor those in need and also soothe their families and friend groups. The door stays open. There’s never a feeling of closing, unlike the horrible trapped sensation you felt during chemical dependency. Your world returns to its former free state. Our rehab will carry you there safely and securely. If times get too difficult, come to us for your rehab needs. It’s time to turn your life around and move forward. It’s time for a fresher, healthier new beginning. Rehab, short for residential rehabilitation, is an alcohol and/or drug treatment program that occurs in a residential facility. Rehab provides treatment aimed at reversing the ill effects of chemical dependency. Supportive, caring, and often abstinence-based rehab supports individuals who struggle with being chemically free in their larger community. This high-risk group needs advocacy and proper accommodations to succeed in rehab. At higher risk for alcohol and drug dependency, disabled individuals often struggle towards sobriety. Their communities often don’t understand their needs as they need materials presented to them differently from other individuals; this can be a hindrance also, but the right support structure helps immensely. Celebrities are particularly high-risk for rehab due to their celebrity status and lifestyle. The pressures of the celebrity life — fame, money, world-wide exposure — lead celebrities to abuse alcohol and/or drugs. Celebrity rehabilitation, trumpeted by the media, always requires a high level of security and internal anonymity for the celebrity’s personal health and security. Men are a high risk statistic in terms of alcohol and/or drug abuse. Nearly twice as likely to abuse drugs as women, men need special, male-focused treatment centered on their specific stressors and triggers. Rehab treatment designed for men best meets their needs. While women are less likely than men to abuse alcohol and/or drugs, prescription or street, many require special social-emotional attention. Rehab designed just for women alleviates stresses from abuse, sexual or otherwise. A caring, compassionate environment for women only works well for many women who need to seek alcohol or drug rehabilitation. Substance abuse is particularly harmful to adolescents due to their developing bodies and brains. Families, while having the power to require treatment as needed for adolescents, can build trust by putting other checks in place, including judgement-free conversations. Each adolescent’s treatment must be individualized, be holistic, provide clear behavior modifications, and be tailored to include family support. A residential rehab treatment center offers living spaces for individuals recovering from drug and/or alcohol abuse. Also called inpatient centers, they provide a multidisciplinary approach to treating individuals and supporting their families. Their living spaces offers comfort and consistency during the time of healing. Available, at least five days per week, partial hospitalization programs, provided in a PHP treatment center, offers structured therapeutic sessions, with varying frequency and intensity. An alternative to a residential rehab treatment center, a PHP treatment center serves as a step down to less intensive services. IOP treatment is intensive outpatient treatment. This treatment and support program focuses on outpatient services. IOP is for individuals who don’t require medically-supervised support. An intensive part-time schedule, it’s designed to work with your outside commitments, family time especially. Narcotics anonymous is a nonprofit group for individuals who struggle with chemical dependency. Making use of a traditional 12-step program, modified for individuals suffering from drug and/or alcohol abuse, Narcotics Anonymous, NA, provides a supportive environment for a like-minded group of individuals, aimed at support and healing. Drug or alcohol abuse and is different from drug or alcohol addiction. Abuse is characterized by an individual not completing tasks at home or at school, exhibiting negative behaviors, including physical harm of others, and legal problems. Addiction involves withdrawal from family members, patterns of behavior focused on addiction, and use of larger quantities of a substance. These indicators can help you understand whether you or a loved one are abusing or addicted. Addiction is in fact a brain disease. 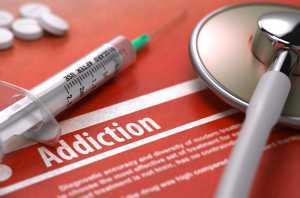 Genetic factors make certain individuals more likely to become addicts. After repeated exposure to substances, brain structure and function changes. Even with individuals who are not genetically predisposed to addiction, addiction causes a brain disease. It can be completely cured, but requires specific treatment.